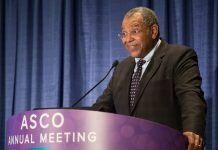 When Otis W. Brawley, MD — who had served as the face of the American Cancer Society (ACS) for the past 11 years—resigned earlier this month as the organization’s senior vice president and chief medical and scientific officer to pursue new opportunities at an as-yet-to-be disclosed major university, many members of the cancer community were surprised and shocked. Brawley had notified ACS in early September about his intention to leave, but shortly after the formal announcement was made public in early November, the New York Times published an article based on anonymous sources speculating about what conditions at the cancer society may have led to the medical oncologist’s departure. Among the allegations raised were concerns over ACS’s fundraising partnerships, most notably its relationship with the global nutrition company, Herbalife International, which has been involved in a number of controversies over the years. Photo 1.0: Otis Webb Brawley, MD, MACP, is an American physician who served as Chief Medical and Scientific Officer and Executive Vice President of the American Cancer Society from July 2007 to November 2018. His responsibilities at the American Cancer Society included the promotion cancer prevention, early detection, and quality treatment through cancer research and education. In addition, Brawley continues to champions efforts to decrease smoking, improve a healthy diet, and provide the critical support cancer patients need. He is also an acknowledged global leader in the field of cancer health disparities research. Brawley is a Fellow of the American Society of Clinical Oncology, a Fellow of the American College of Epidemiology, and one of fewer than 1,600 physicians to be named a Master of the American College of Physicians in its more than 100-year history. Brawley is also an elected member of the National Academy of Medicine. Brawley would neither confirm nor deny the accuracy of what was reported, but agreed to an interview with Onco’Zine to discuss what he considered his most important accomplishments at ACS, as well as a number of issues near and dear to his heart and professional life. I’ve known Brawley since the early 1990s, and have followed him through several phases of his professional career, including his time at the National Cancer Institute, at Emory University’s Winship Cancer Institute and its affiliated Grady Memorial Hospital, and at the American Cancer Society, where he still maintained his Emory and Grady affiliations. He stressed the importance of ACS’s mission to prevent and reduce death and suffering from cancer, and noted how much he would miss the people at the society, many of whom had become very good and dear friends over the years. “There are a few things in particular I’m especially proud of accomplishing during my time at ACS,” he said, noting that he considered the most significant his convincing the ACS’s board of directors of the importance of adapting a rigorous process for developing cancer screening recommendations. Those efforts led to an article in the Journal of the American Medical Association in December 2011, “The New American Cancer Society Process for Creating Trustworthy Screening Guidelines,” in which Brawley served as first author. According to Brawley, his next most important contribution was helping to change how we view cancer disparities, shifting from race-based to socio-economic factors. “We calculated what the disparities in cancer were in the United States by looking at the death rate of college educated Americans [32%] and then applied it to the entire population and estimated how many people would die if everyone had the same risk of death of those college educated Americans,” he said, adding that the overwhelming majority of that group were white. He explained that he and his colleagues tried to figure out how many people would not die from cancer if everyone in the country got everything that was currently available in screening, prevention, and treatment—and there were no new scientific developments—and factoring in that 6% to 8% of college educated individuals smoke cigarettes. They estimated that if all Americans were able to utilize available health care, had adequate insurance, led healthier lives, ate healthier diets, and did not smoke, then of the 600,000 cancer deaths each year, about 140,000 people would not die from the disease. 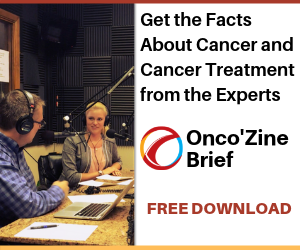 In April 2018, during the annual meeting of the American Association for Cancer Research (AACR), Otis Webb Brawley, MD, MACP, sat down with the team of The Onco’Zine Brief for a radio interview. To listen to this interview, click here. Brawley’s definition of health disparities is quite broad. He says that disparities exist when human beings do not receive the same health care that other human beings receive. And he hopes that his new position will permit him a little more freedom to speak up about health care issues such as disparities and cancer screening; to be more impactful; and do a lot of things that he could not do before because of his administrative responsibilities. There’s a curious irony here, because the third thing that Brawley was most proud of during his ACS tenure was leading a very large and productive research group of 180 people who published 150 or more scientific papers a year. How you handle cancer information is incredibly complex today, especially with so much information available, he said. And he thinks that the United States can do a great deal more to end disparities. 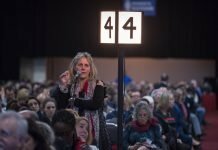 He said that he’s now traveled to 84 countries, and while all of them have some problems with their health care systems, few have as many disparities as in the U.S.
Brawley noted the difference between universal health care and those nations that have health care that is universally available. He thinks that Singapore and many European nations are doing a much better job than we are, and said that the Swiss have a system with six private health insurers, and one sponsored by the government similar to Medicare, and citizens are mandated to choose one of them. And he added that health care in Switzerland is less than optimal because the Swiss have less than optimal access to care. “We [in the U.S.] could do much better than we are doing now. We could do better in expressing our concern for our fellow man, it’s a Judeo-Christian-Muslim-Sikh value,” he said. But he continued that it would require that all people and politicians accept the fact that human beings deserve a certain amount of health care by nature of their being human beings. He worries that some advocacy groups do not speak up enough about the right to health care and provide some recommendations, notably in screening, that do not make scientific sense. 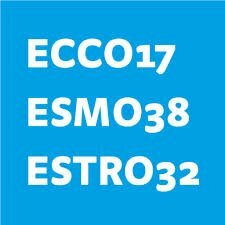 “Sometimes some of these groups don’t promote informed decision-making about screening that allows individuals to learn about the risks and benefits so they can make their own informed decisions,” he said, calling it paternalistic, and suggesting that some advocates do not really understand the complexity of cancer. Brawley’s grooming as a cancer screening skeptic began when he was growing up in an African-American community in Detroit where many people were suspicious of doctors and by attending Jesuit schools where he learned to label everything into what you know, what you don’t know, and what you believe, and then to question what you know more than anything else. He received both his undergraduate and medical degrees from the University of Chicago, followed by his residency in internal medicine at Case Western Reserve, and then a medical oncology fellowship at NCI, where he later joined its Division of Cancer Prevention. 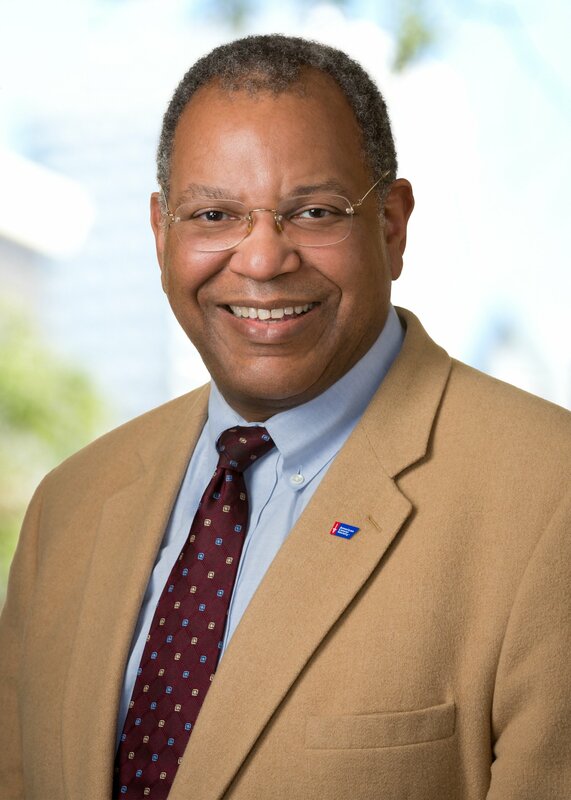 In 2001 he moved to Atlanta after being named deputy director for cancer control at Emory’s Winship Cancer Institute, and medical director at Grady Memorial Hospital’s cancer center, and was named to his ACS position in 2007. In addition to numerous publications and honors, in 2015 he was elected to the National Academy of Medicine (formerly the Institute of Medicine) in recognition of his expertise in cancer prevention and control. Brawley will remain busy until he begins his new position early next year. 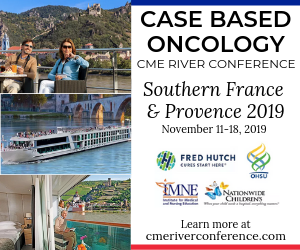 This month he will be heading to Lyon, France to work with Peter Boyle, PhD, at the International Cancer Prevention Research Institute, and in December he will do what he has done for the last 12 years: serve as the “doc in charge” of cancer patients at Grady Hospital. Stay tuned for his next adventure in oncology. 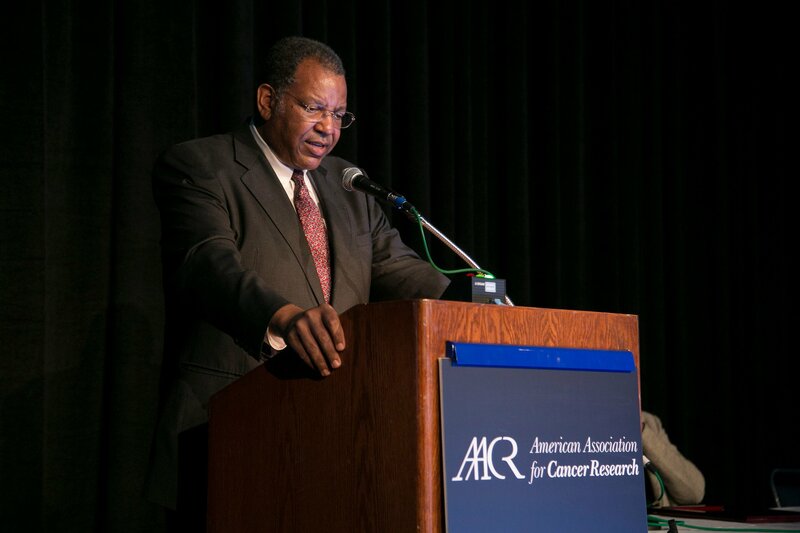 Featured Image: Otis Webb Brawley, MD, MACP, speaks during the Annual Meeting of the American Association for Cancer Research (AACR) on Tuesday, April 3, 2012. Courtesy: © 2010 – 2018 © AACR/Todd Buchanan. Used with permission.